By excellent thermo-insulation properties, coefficient of penetration of heat of K=1,108 due to application of extruded foam polyurethane (the thickness of which in filling makes 20 mm, which is equal to 80 centimeters of brick wall by heat-insulation properties). By the special resistance to atmospheric influence (sun, rain, and frost), a structure and color of surface remain without changes and it prolongs the term of exploitation. By light weight (from 12 kg) which prolongs the term of exploitation of metal plastic doors. 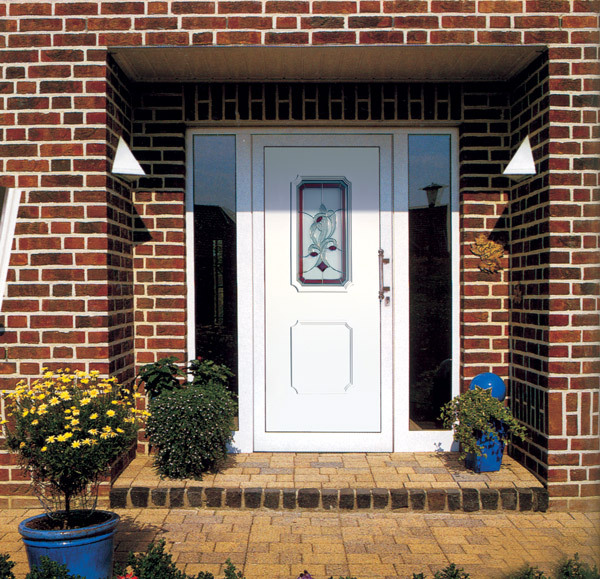 The door PVC-U panels are made of well-known hard PVC plates of German production, extruded foam polyurethane. Inside of such decorative panel the glazing unit is assembled which is made of the standard patterned glass, or with application a stained-glass window (double glazing unit), a thickness of PVC-U panel can be 24mm or 32 mm which is suitable for most known profile systems of PVC and aluminum. the third and fourth (exclusive) line - is stained-glass windows with rather high complexity, with application of facet, bevel elements (glass with the treated verges), and which in exclusive design are developed by professional designers, for more design demanding customers. All stained-glass windows are made of high-quality materials from international leading manufacturers, and are assembled in a PVC-U panel as double glazing unit, that diminishes influence of the atmospheric phenomena on a stained-glass window, practically to zero. 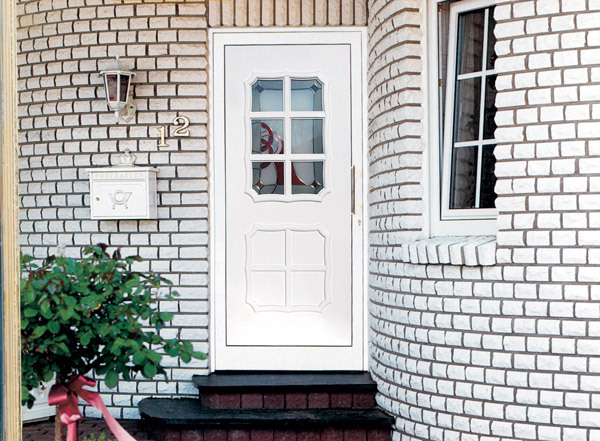 For providing the entrance doors with more strength safety, it is possible to make the PVC-U panels with the internal strengthening plate. 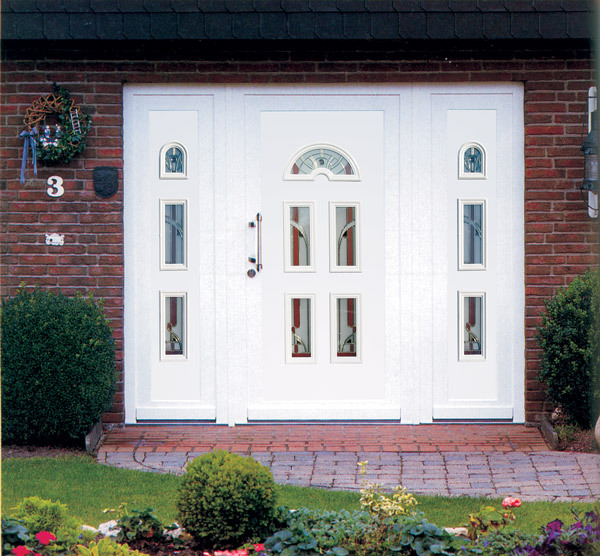 All of these advantages of PVC-U panels, - a good design that in combination with stained-glass windows distinguishes each metal plastic doors, special operating properties, excellent sound- and heat-insulation, have long time ago made European persons believe in rightness of choice in favor of metal plastic doors made with PVC-U panels..
A perfect design, exactness of forms, high quality and wide spectrum of models of PVC-U panels made by “Media-Plast Ukraine” company, comply with the newest requirements of the European standards and allows to satisfy the most exacting customers, each of models represents different styles and will perfectly decorate any design of any facade and will give a comfort and peace to every house. Competitive price with a tendency to decline and a system of discounts for the PVC-U panels made in Ukraine, which is offered by LTD Media-Plast Ukraine, which competes with the leading European companies, distinguished by the very short terms of making - 5 workings days, by high quality of our decorative panels, - for each PVC-U panel a quality certificate is provided with a guarantee of 5 years, all of products are certificated. Excellent balance of price and quality, free trimming of PVC-U panels to the sizes of Customer’s order (within a millimeter accuracy), as well as FREE packing and delivery within the limits of Ukraine - all of this allows customers, manufacturers and metal plastic constructions salespeople to make the metal plastic doors fully different from the confused doors with an impost - without any problems, and to extend offer of metal plastic doors for the customers, advantageously differ from the competitors and to increase the benefit and income of the enterprise.